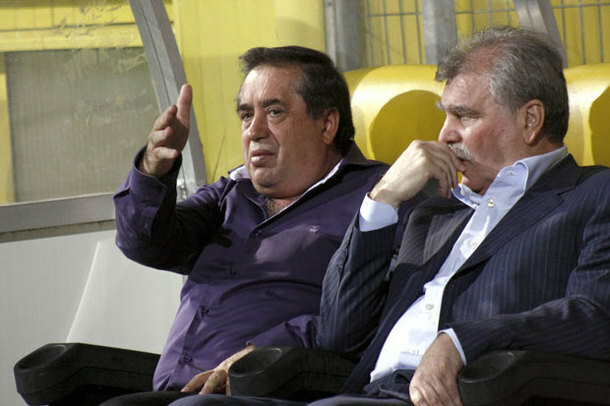 Ioan Niculae (left) and Dinu Gheorghe could set a record with the number of coaches changed during one season. Ioan Niculae, the wealthy owner of Astra Giurgiu, has struck again. After getting rid of Bogdan Stelea without elegance and professionalism, Niculae decided to cut the wings of someone who has been near the club for the last two decades, who had stepped in at a difficult time last year and had proved himself up for the job. Two defeats in a row this year counted more than the second place Astra still sits in, with a two points advantage over the former local rival from Ploiesti, Petrolul, and Valentin Sinescu must leave.